Our high thread count bed linens are made from the finest long staple cotton fabric and finished with precision by our most skilled artisans. Create your sumptuous sleep space with our range of versatile embroidered sheet sets. Choose from our selection of designs from 400 thread count sheets, pair of pillow shams, to duvet covers, you can mix and match looks and colours to create your own unique style. 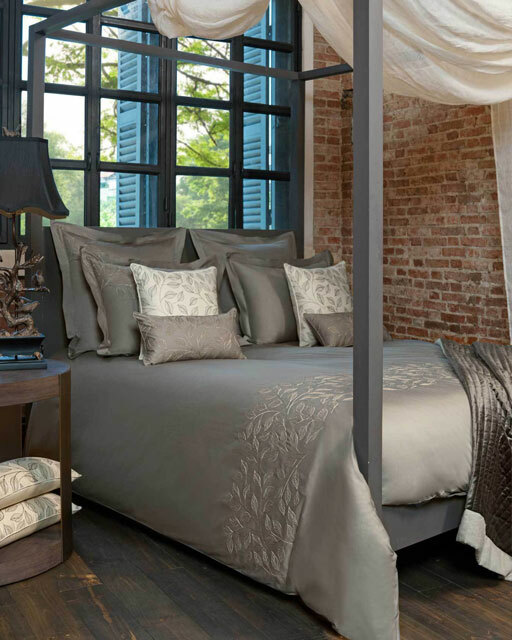 This Bed Linen Collection named “The Whimsical Garden” features intricately embroidered details on earthy toned fabric and an exquisite finishing. The Dandelion design is entirely hand embroidered from our expert artisans.